Situated in the western part of northeastern Indian state of Sikkim, Pelling is a tiny beautiful hill township, offering unending scopes to explore the spellbinding beauty of Mother Nature. 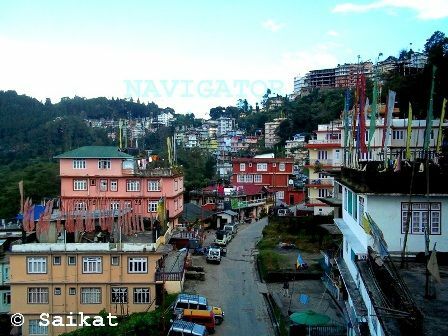 Nestled at an altitude of 7200 feet, it is emerging as the second biggest tourist attraction in Sikkim after Gangtok, the capital of the state. Primarily known for its astonishing glimpse of the mighty Mt. 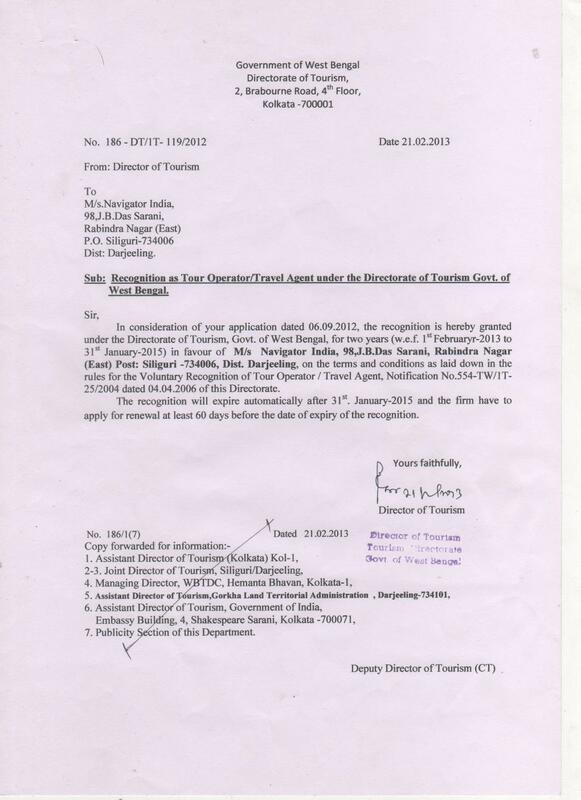 Kanchendzonga and surrounding mountain ranges, Pelling is a must visit holiday destination for every wanderer. Situated in the north-west of Pelling, Kecheopalri Lake is a sacred pilgrimage site for both Hindus and Buddhists. Believed to be a wish-fulfilling lake, this place is heaven for nature lovers and travellers. Many interesting legends revolve around the origin and history of the lake. The shape of the lake looks like a footprint if viewed from the top. Hindus consider this as the footprint of god Shiva while Buddhists believe it to be the footprint of goddess Tara. Another interesting fact about this lake is that in spite of being situated amidst so mush of greenery, no fallen leaves can be seen floating on its surface. It is said that the birds keep the lake clean all the time. 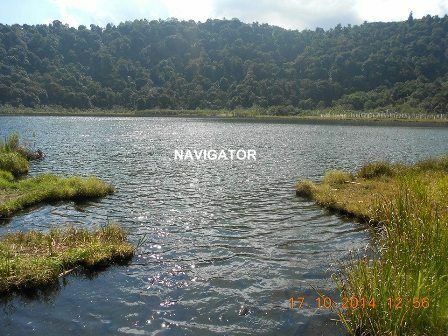 Emerging as a popular tourist attraction in Sikkim, Kecheopalri Lake is visited by pilgrims from all around the world. 24 km from the beautiful township of Sikkim, Kanchendzonga waterfall is one of the major tourist hotspot in west Sikkim. It is a perennial waterfall and remains active throughout the whole year. Noted for its fascinating view of surrounding hills and countryside, this stunning waterfall is doubtlessly one of the most magnificent waterfalls in the entire Sikkim. Here, one can also find many small food-stalls selling snacks and tea, which make this place an ideal picnic spot to spend some quality time with near and dear ones. Pemayangtse monastery is a popular Buddhist monastery, situated at a distance of 2 km from Pelling. 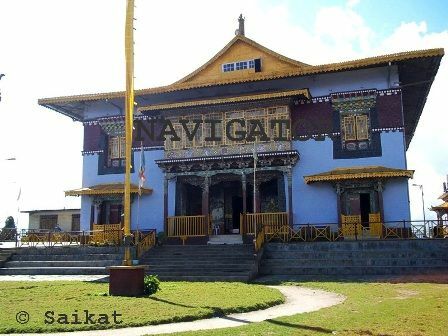 Built in 1705 by Lama Lhatsum Chempo, it is one of the oldest monasteries in Sikkim. The word Pemayangtse means ‘sublime lotus’ and it is considered to represent one of the four plexus of human body. With its beautiful collection of Buddhist idols, scriptures, sculptures, carvings and paintings, this three storied building is a heavenly place surrounded by magnificent Himalayan ranges of snow-capped mountains. Outside the monastery, there is also a very beautiful picturesque garden well maintained by the monks. Undoubtedly this monastery is one of the must see places when one is in Pelling. Rimbi waterfall is another one of the most visited tourist spots in Pelling. 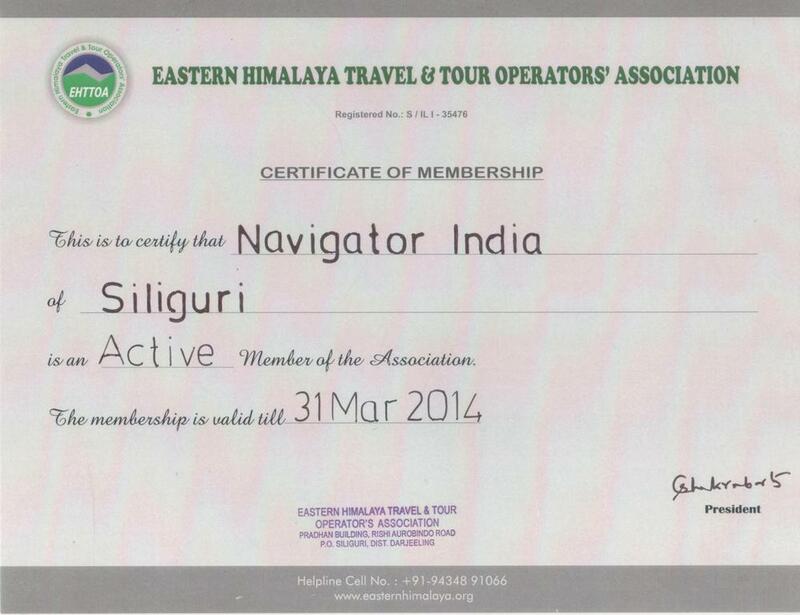 It is located at a distance of about 12 km from Darap village (another tourist attraction in Sikkim) and around 5 km from the city. This waterfall is perfect destination for photography lovers as it is surrounded by lavish greenery and lets you go closer to Mother Nature. Known for the activities like swimming and fishing, Rimbi waterfall lets visitors refresh their tired souls with a serene and calm ambience. Located at a distance of 5 km from Pelling, the grand Singshore Bridge is an extremely popular tourist spot in West Sikkim. It was constructed nearly 16 years ago by connecting two hills. 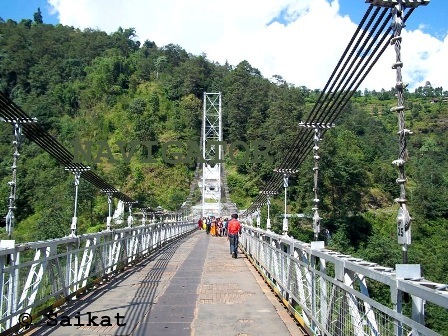 Singshore bridge is also the highest bridge in Sikkim and second highest gorge bridge in Asia. Surrounded by immense green hillsides and offering enchanting views of beautiful waterfalls, the atmosphere of the bridge is completely a treat to the eyes. 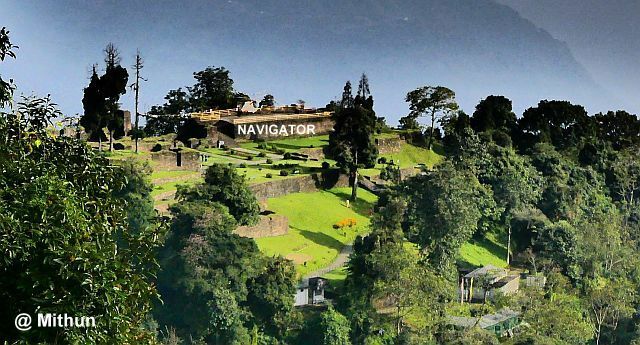 Established in 1670, Rabdentse ruins used to be the second capital of Sikkim, until 1814. 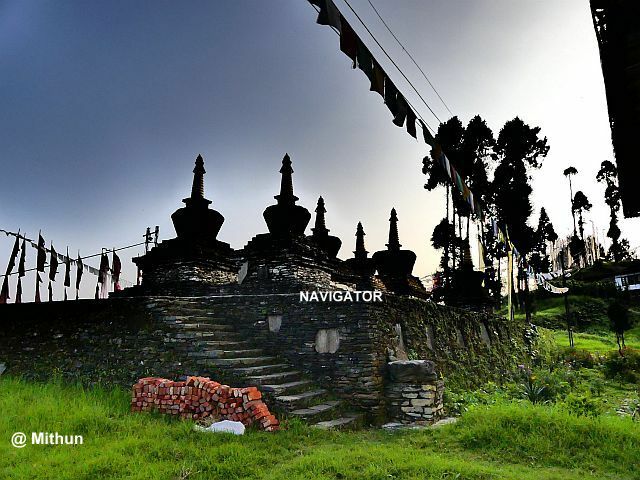 Located near Pemayangtse monastery, this place is one of the must see historical tourist destination in Pelling. 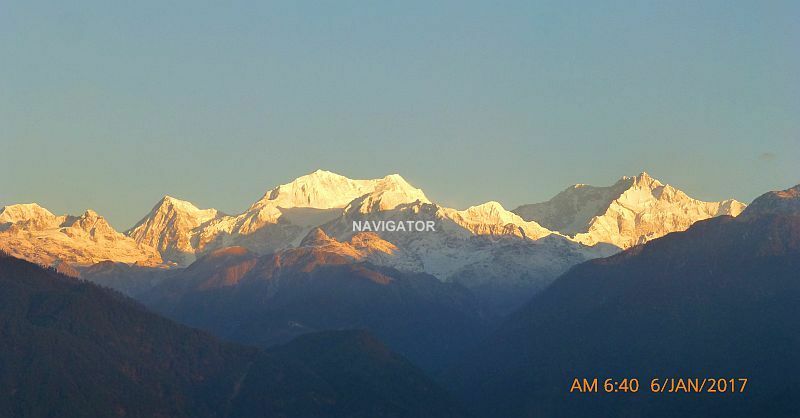 The view of the Kanchendzonga Mountain from Rabdantse is breathtaking. 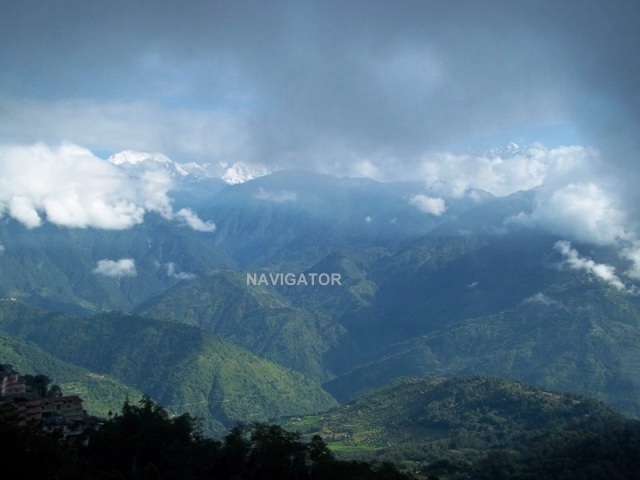 The lovely 20 minutes nature walk uphill to the ruins through Himalayan vegetation is totally a thrilling experience if one is physically fit and loves to trek. The well maintained and preserved ruins will definitely mesmerize its visitors. Built by the tourism department of Sikkim Government, Sewaro Rock Garden is yet another popular tourist attraction in Pelling. Being a quiet and less frequented place and nestled amidst lush green forest, this is undoubtedly an ideal destination for a picnic. There is also a swimming yard, a cafeteria, resting sheds and few vantage points that make it a delightful place for spending some memorable time with the loved ones. Due to its enchanting display of natural beauty, Sewaro Rock Garden is a fascinating place to visit for the nature photographers. 10 km away from Pelling, Sangay Falls is a small beautiful waterfall in West Sikkim located near Singshore Bridge. The excellent view of the clear mountain water flowing down through rock cliffs is absolutely spectacular. Spending few minutes by its side can leave a long-lasting mark on one’s memory.